How can NVR Storage Add to Your Home’s Security? Security cameras are a great tool for ensuring your home security. Not only are they a highly visible deterrent because they let potential criminals know that your home has an active security system, they also record incidents of crime and disturbance so that you can resolve any problems your home faces. Because NVR storage at Fort Knox Security Services focuses on securing your home and optimizing security cameras so that you receive the best possible protection, all surveillance footage can be stored both on-site and in the cloud. What are the advantages of NVR and cloud storage as part of your home security system? You can access your home security footage from anywhere. 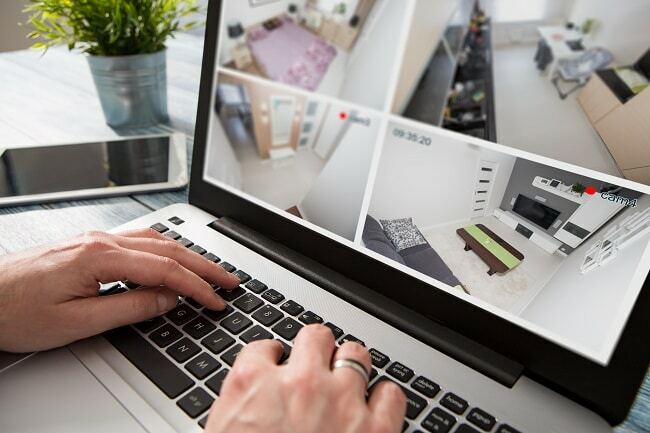 Professional security footage is stored in the cloud, or online, and this means you can monitor your home remotely for both past events and changes happening live. Footage can be integrated into your automated home security system. Because you can access both live camera footage and video of past events remotely, you can schedule your home settings, such as light and locks, in response to past events or in real time. A network video recorder (NVR) service give you more viewing options. Because the cameras connect to your internet wirelessly, you have a greater selection of locations where you can place your security cameras. This means you are not restricted from protecting side entrances to your home due to a lack of wiring options. Fort Knox Security Services focuses on giving you as many options as possible when it comes not only to the setup of your home security system but also your ability to remotely view and monitor the status of your home. If you’d like to learn more about our home security services, please contact us here. By Preston Hanisko|June 12th, 2017|Tags: home security, network video recorder, security|Comments Off on How can NVR Storage Add to Your Home’s Security?